I can post the LO now, as it has already revealed at Let's Scrap. It is based on sketch 1-26-11, and you have all week to check it up and post your own layout at Let's Scrap for a chance to win a prize. Loving this layout Caro! The papers you picked and the circular banner look fantastic! OH, this is super fantastic! 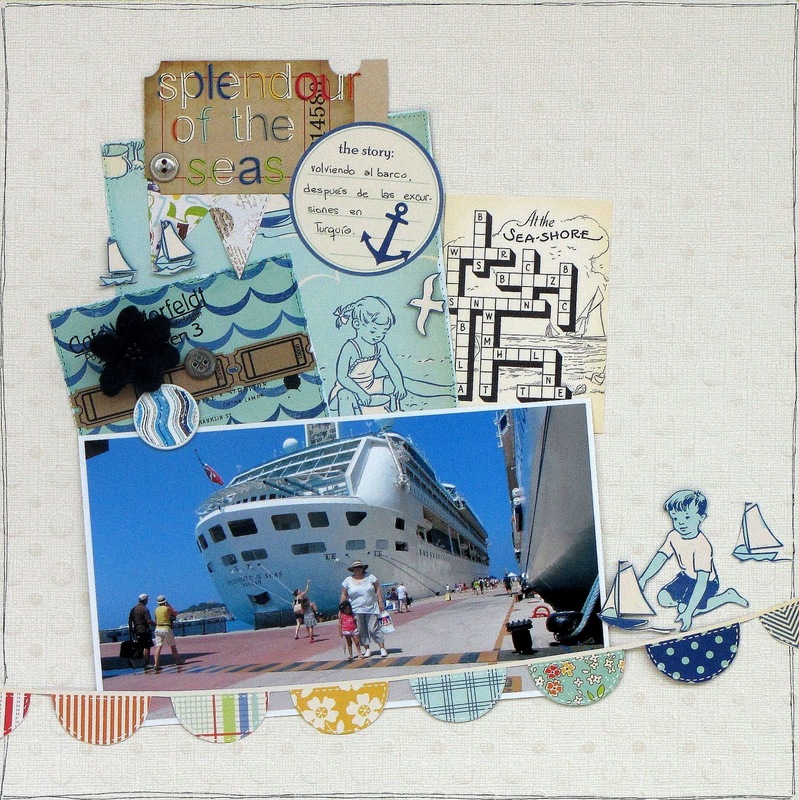 I've headed over from Denise's blog challenge Project 2011 where we use up stash!